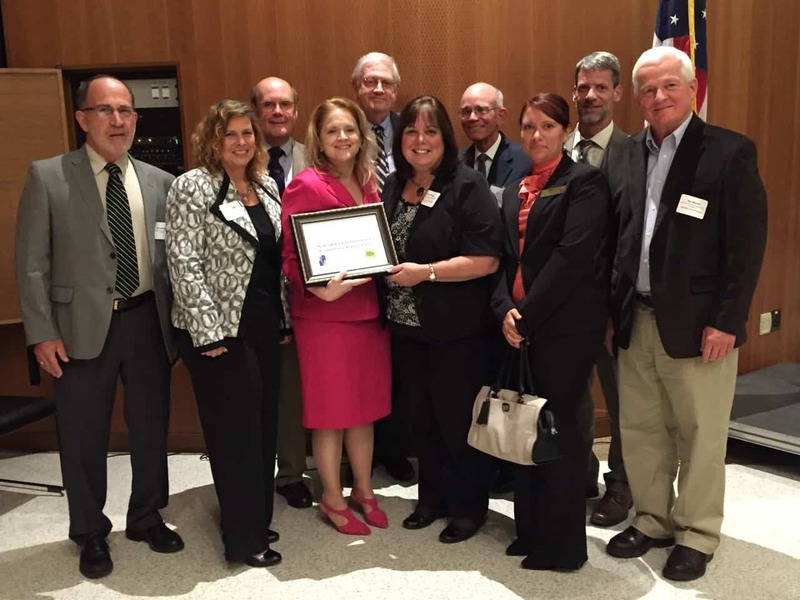 In an annual award ceremony held at State University of New York (SUNY) Fredonia College in early October 2015, the Northern Chautauqua Community Foundation received an award from the Chautauqua County New York Chamber of Commerce for the work of its Local Economic Development (LED) Committee in furthering the economic development of the region. The LED Committee was initiated in 2012 by four community leaders including ME&A’s President, Thomas England. The effort has now grown to more than 80 private sector leaders. It has forged a local economic development strategy, created business cluster organizations, and helped create public private partnerships with SUNY Fredonia, private sector organizations, county and state governments. Activities have included assisting in the creation of the Local Waterfront Revitalization Program, active advocacy for development of a regional water district, and support for an increasingly effective SUNY Fredonia Business Incubator. ME&A continues to advise the LED Committee in its ongoing activities.